Adequate shelter is one of the most basic human needs and is consequently one of the most important human rights. 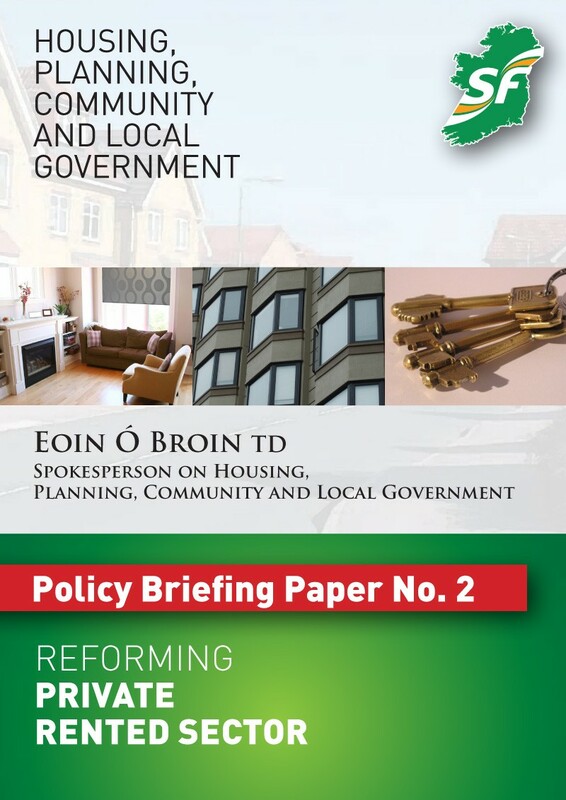 Sinn Féin's Better For Housing document sets out a series of visionary and principled steps to deal with the housing crisis and plan strategically for the future. Proposals such as a massive social housing build programme for the state, 2030 – Project 100,000, which would increase the social and affordable housing stock and eradicate huge housing lists. Sinn Féin is promising that, if in government, we will deliver a housing blueprint for this island that makes boom and bust property cycles, housing waiting lists, homelessness and environmentally-unsound housing, things of the past. Build 100,000 new social and affordable homes. Ensure 20% social and affordable housing on all new developments. Introduce legislation to limit the rate that banks can charge - even a 1% reduction would save mortgage holders an average of €2,000 a year on a €200,000 mortgage. Abolish the Local Property Tax. Introduce a tenant's rights charter. Make an extra €30 million available for emergency housing in 2016. 100,000 teach sóisialta agus tithe phraghas réasúnta a thógáil sna 14 bliain atá romhainn. 20% thithíocht shóisialta agus tithe phraghas réasúnta i gach forbairt nua. Deireadh a chur le cáin mhaoine áitiúil. Scrúdú a dhéanamh in athuair ar an gcleachtas caidhpeáil a dhéanamh ar fhóirdheontais chíosa comhuaineach le rialúcháin chíosa a thabhairt isteach. 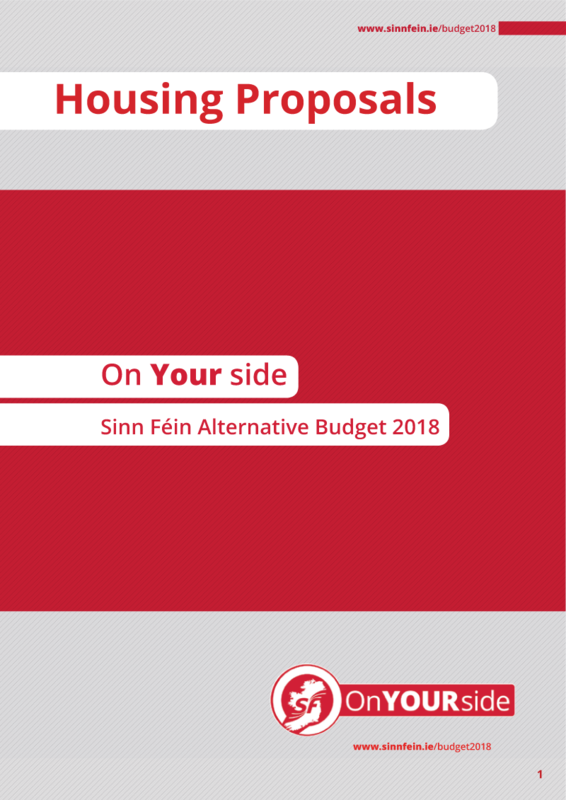 €30 milliún sa bhreis chun tithíocht ar bhonn éigeandála a sholáthar do dhaoine gan dideán i 2016.